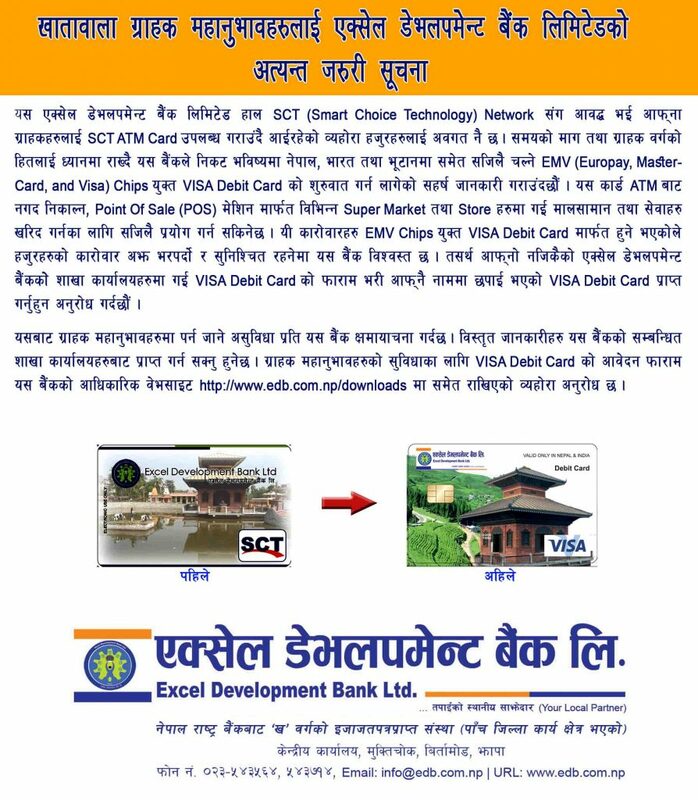 Development Banking Sector remained dominated by government owned bank for more than five decades. 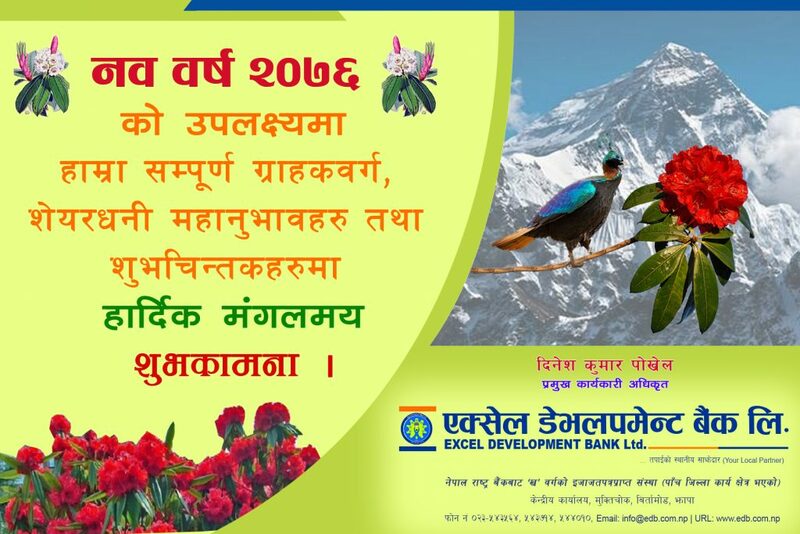 With the liberalization of economy private sector started to promote development banks obtaining license from Nepal Rastra Bank, the central Bank of Nepal. 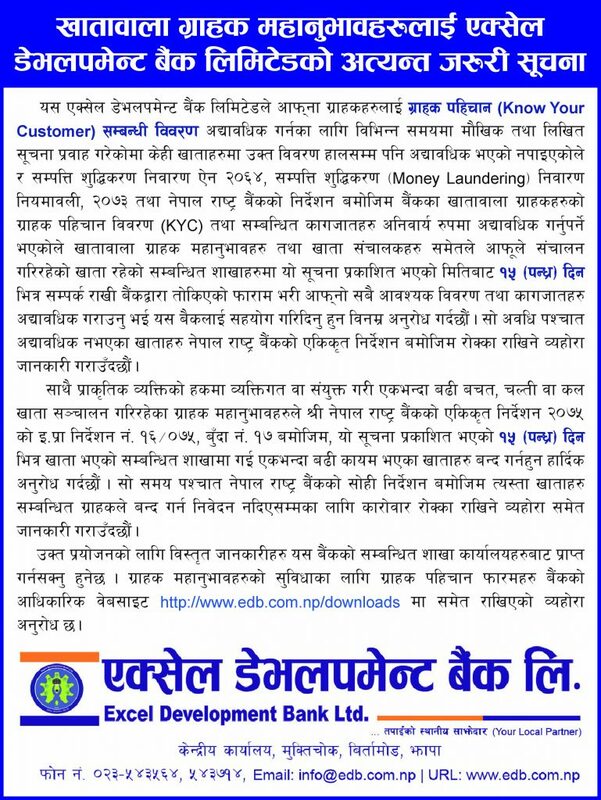 Excel Development Bank Limited is licensed by Nepal Rastra Bank under banking and financial Regulation Act 2061.The bank is promoted by a group of experienced and highly motivated individuals from all walks on life. 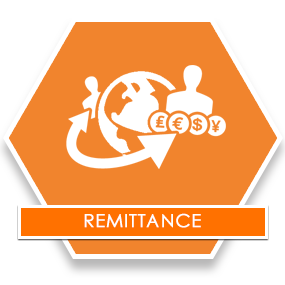 The promoters include; professional bankers, Entrepreneurs, Educationalists and Technocrats. 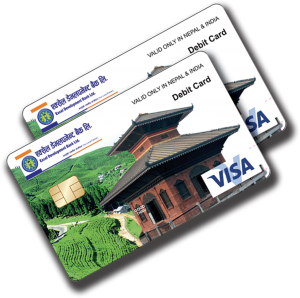 VISA Debit Cards with EMV Chips, which can be used within Nepal, India and Bhutan. 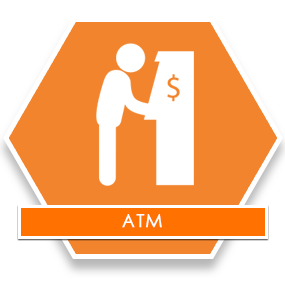 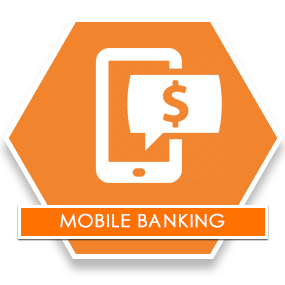 Mobile Banking : SMS Altert System, Utility Payments, eSewa, Recharge and Many More.